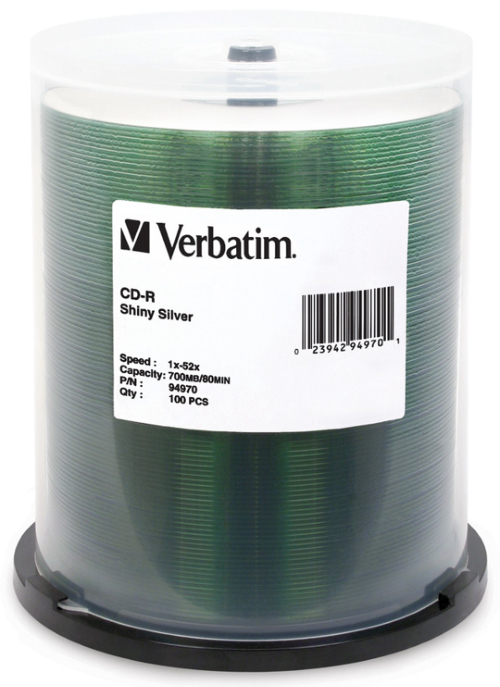 Verbatim 80-Min 52X Shiny-Silver CD-R’s As low as 20¢ each! 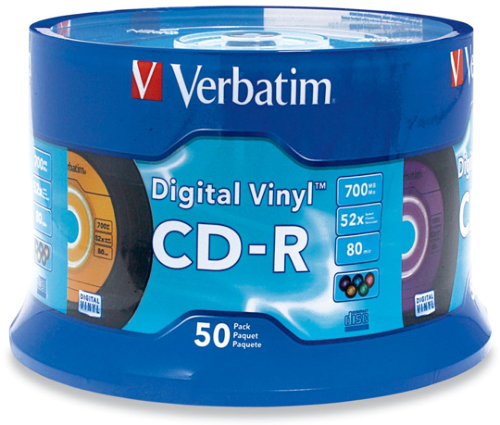 Verbatim 80-Min 52X Color-top Digital Vinyl CD-R’s™ As low as 37¢ each! 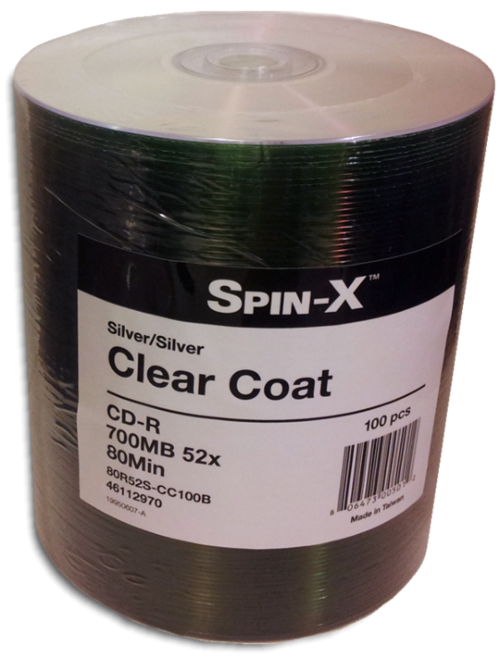 Spin-X 80-Min 52X Matte-Silver CD-R’s As low as 18¢ each! 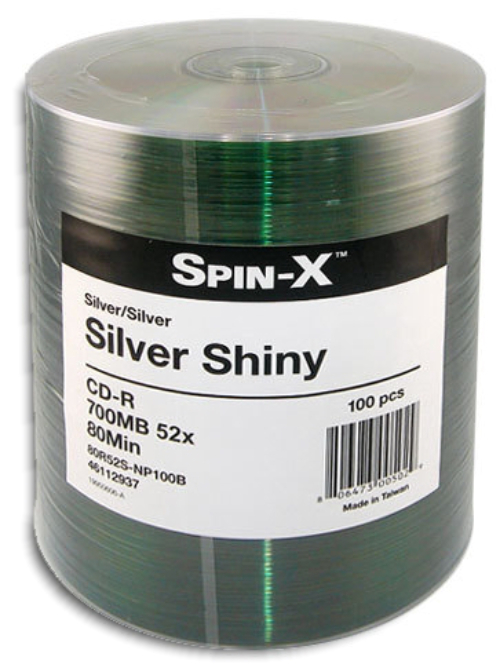 Spin-X 80-Min 52X Shiny-Silver CD-R’s As low as 18¢ each! 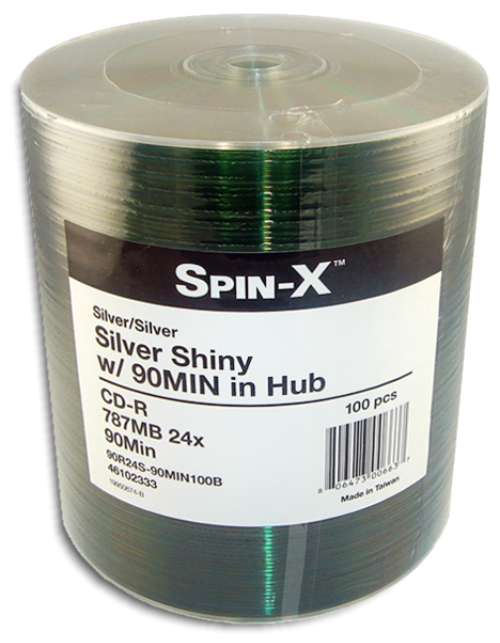 Spin-X 90-Min 24X Shiny-Silver CD-R’s As low as 28¢ each! Premium 80-Min 52X Shiny-Silver CD-R’s As low as 13¢ each! 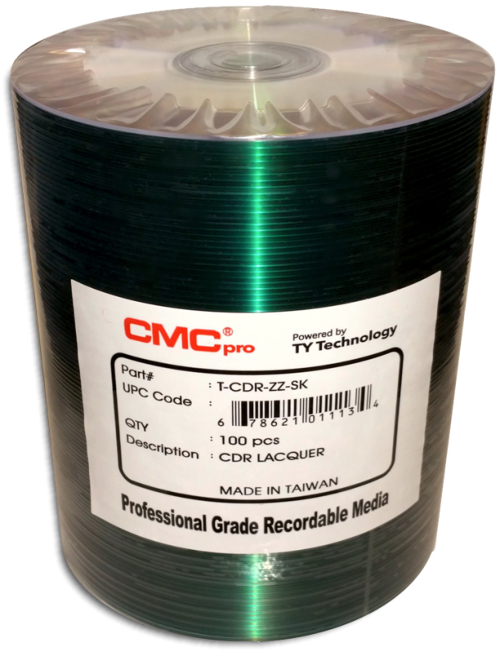 CMC Pro (TY Technology) 80-Min 52X Shiny-Silver CD-R’s As low as 22¢ each!